According to Poola, the applications in the market vary in nature, mostly because of the data being ingested, the workloads, the non-homogeneous clients, and multiple other aspects that vary substantially. From an infrastructure standpoint, applications can be under workloads with different characteristics during different time periods that have different system resource utilization patterns. The performance goals for some applications could be low latencies while for others it could be higher throughput. In order to respond to the effect of such dynamic changes on the health of the applications and to maintain service level objectives (SLOs), the Operations Team conventionally overprovision the infrastructure. On the other hand, AskLytics’ goal is to empower Operations through use of case-specific and infrastructure-specific optimized solutions while creating a performant environment that complies with the changing nature of applications. In terms of optimization, a multitude of providers in the market often prefer to optimize from an ‘end-user perspective,’ using deterministic approaches, without ‘optimizing from an infrastructure perspective’ as well. This necessarily requires unparalleled expertise and results in increased expenditure. Large organizations usually employ a dedicated team to carry out infrastructure optimizations. AskLytics targets to provide infrastructure optimization to the mid and small organizations eliminating their budgetary constraints and helping their applications to thrive within optimized infrastructures. AskLytics built its machine learning platform with their team of engineers and data scientists that have unique expertise and knowledge in IT systems domain. AskLytics started off with providing APIs for machine learning algorithms in systems management. It closely observed the plight of DevOps who could not afford the time and effort to build their own solutions using APIs. AskLytics then came up with solutions to help them streamline their work more easily. “We figured that the best way to help DevOps is to provide intelligence about application’s infrastructure needs at earlier stages of the software delivery workflow than the production stage.” AskLytics then decided to focus on the Performance & Load Testing (PnL) stage, and on pre-production, as opposed to production itself. The company focuses on a three-dimensional view of factors which model application behavior and performance that mutually impact each other. The first dimension is the workload on the server. The second is the application behavior in terms of the resources it consumes to do the work, and the third is the quality of service. After the functional testing stage, when the application moves to the PnL stage, the developers are aligned towards code optimization. The Ops, on the contrary, tend to focus on the end-user perspective of the application, working on the system performance, quality of service of the application, such as latency and throughput, infrastructure sizing and platform configuration. Illustrating one of AskLytics’ successful client engagements, Poola shares the story of a large electronics conglomerate who wanted to gain visibility and analyze the impact of different applications on the infrastructure. In the past, they used to follow a more conventional process where they had a testing phase explicitly allocated for sizing and figuring out how the application behaves with a significant load. AskLytics stepped in and used its application characterization approach and provided them with a formal relationship based on workloads, resource consumption, and the latencies that are associated with that application. This enabled them to visualize and compare different versions of their applications. This gave them the most needed critical insight into the application behavior even before they began with regular sizing and testing activity. Since AskLytics’ strength is its statistical model-based algorithms, it focuses on solutions for DevOps that use a probabilistic approach rather than the deterministic one. The company enables the collaboration between performance engineering and Ops by providing a platform with infrastructure-centric application performance analytics. It assists in the creation of workloads that are similar to those seen in a production environment, giving credibility to PnL tests & analytics. The company uses its core statistical models and machine learning algorithms for empowering technical teams to streamline their software delivery and ops workflows by providing insights, forecasts and estimation of risk of SLO violations. 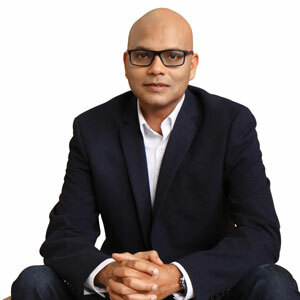 "We at AskLytics want to empower DevOps with insights into IT system performance & optimization using statsbased machine learning solutions"
Accentuating AskLytics’ future roadmap, Poola says that the next phase of the company will be to target the Ops and CIOs. The company plans to expand its product suite over this next stage of its journey by providing Ops with solutions for production environments and analytics for CIOs. Going forward with its geographical expansion plans, AskLytics continues to strengthen its organizational footprint across North America while spreading its reach far into the global markets of APAC region. “We see tremendous traction for Infrastructure as a Service and Platform as a Service in APAC, and that means more opportunities for us to proliferate in those markets. Nevertheless, catering the markets of North America constitutes our primary target,” adds Poola. Introspecting on the very foundation of AskLytics, Poola mentions that the real focus is the people, and the technology is an enabler. According to him, while creating statistical models and machine learning algorithms is an exciting venture from a technical perspective, the real reason of AskLytics’ existence is to make the work life of DevOps teams more efficient and seamless. “We want to make sure that DevOps teams make use of the intelligence gained from machine learning solutions to improve their productivity. If we can empower 10,000 DevOps teams with smarter solutions, we have made a big difference by making their lives easier,” concludes Poola.